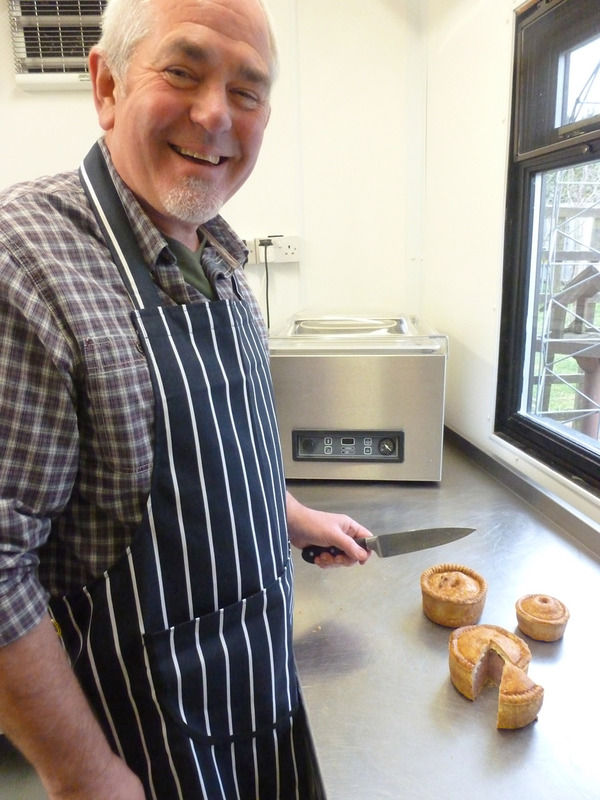 At the heart of all high-quality Farm Shops, there is always a good Butchery, and Ashley Farm Shop are proud to have Rob Bancroft at the helm of the team, to offer you the finest meats and pies available! 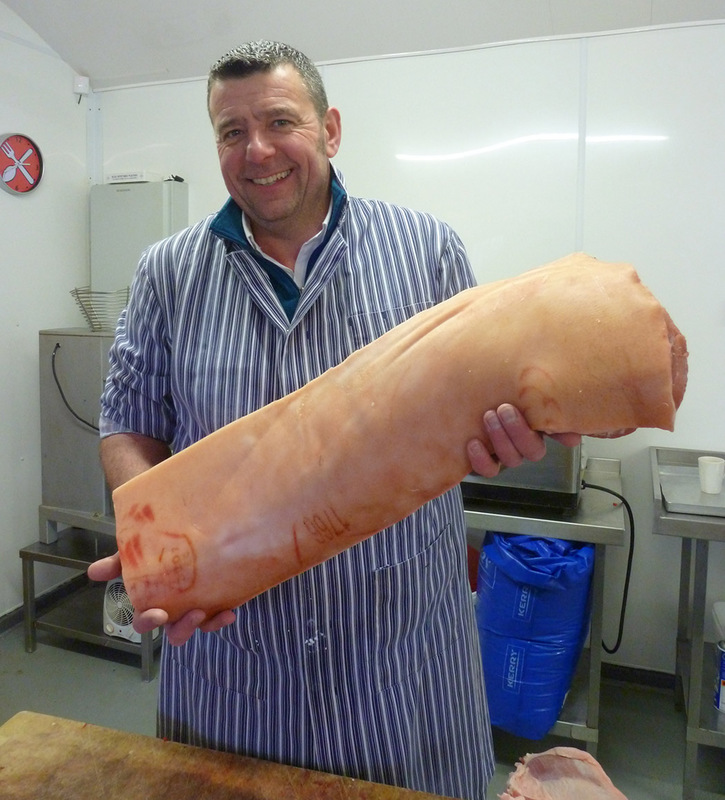 Rob brings over thirty five years of experience to Ashley Farm Shop. 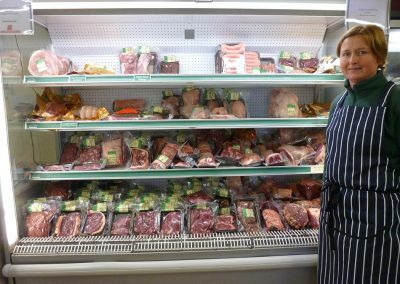 You can rely on his knowledge and expertise to help you get the best from the meat you buy at Ashley Farm Shop. Rob’s commitment to the industry ensures the highest cuts. All our lamb is born, bred and raised on our farm. Pure bred Dexter/Aberdeen Angus and North Devon cattle are sourced from small local breeders, and raised on the farm at Ashley. All other meat is sourced from local farmers who share the same values as our own. 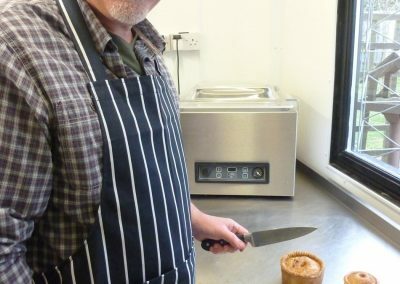 Whether it be a steak, chop, sausage, burger, rack of lamb, rib of beef, pork shoulder, pork pies, sausage rolls or chicken, we hope that you will agree that the meat is some of the best you have tasted! For larger meat orders or if you require a specific cut of lamb or beef, please help us to help you by placing your order a few days in advance. Rob has created some great meal solutions that sit alongside all your favourite cuts and there are always some ‘grab and go’ packs on the shelves if you are short of time. Our beef roasts and steaks are matured on the bone for at least 21 days for great taste. We cure our own ham and bacon, using traditional techniques. We have a selection of joints, perfect Sunday Roasts for families of all sizes. Great deals on mince and casserole meats. If there is something you would like to try then please speak to the team and we will see what we can do! 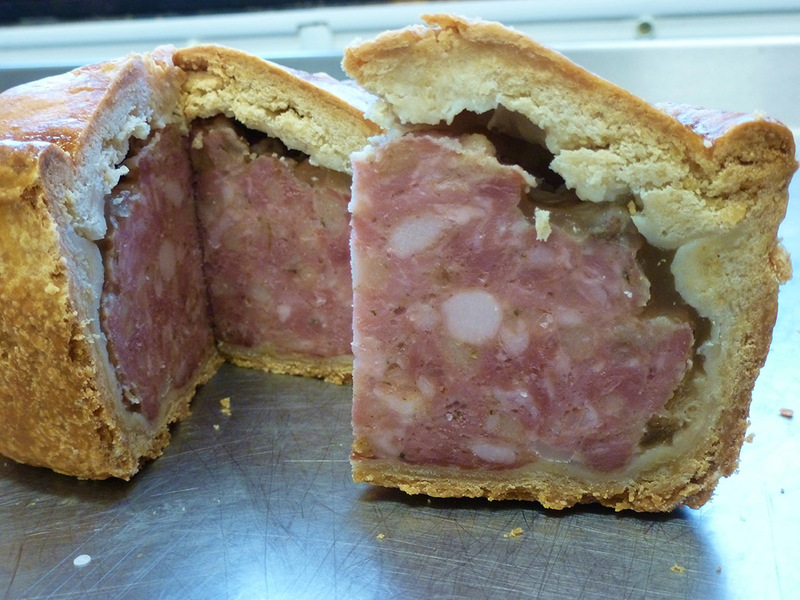 We are proud to say that we make all our own sausages, burgers, pork pies and sausage rolls on site. Not ones to boast but our sausage are award winning! We stock free range chicken (whole oven-ready). The birds are grown slowly on a free range system and this gives meat with a fantastic flavour and texture. Ideal for the traditional Sunday Roast. We also sell jointed birds, allowing you to buy, thighs, wings, legs and breast meat. We sell quality fresh beef products. We offer traditional cuts and joints, and can prepare orders to your specification. 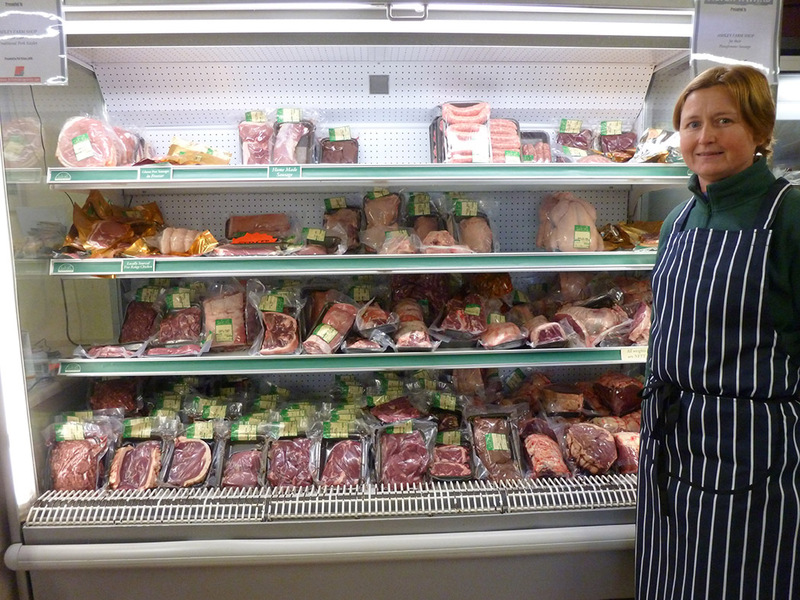 All meat products are prepared by our butcher at Ashley Farm Shop. 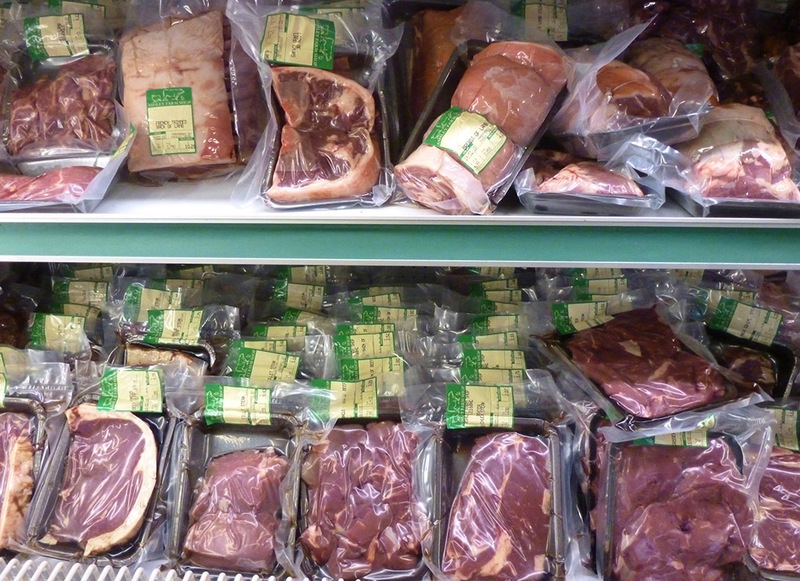 The meat comes from animals reared on our own farm in the Welland Valley, Leicestershire. 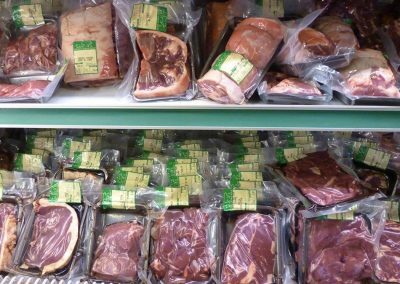 The animals are reared on open grass pastures and are slaughtered at a local abattoir in accordance with our high animal welfare standards. We now have locally sourced Dexter and Aberdeen Angus cattle which are grazed here on our farm in the Welland Valley until they reach maturity. The meat is hung for 21 days before final preparation in our shop. A proper hanging period tenderises the meat and gives the cooked beef a superb texture and eating quality. In addition the meat has good marbling characteristic which helps in the cooking process. We are happy to prepare orders for your special dining occasion, but please contact us well in advance with your order. We sell fresh lamb, which is prepared to a high standard by our Master Butcher. The meat is produced from our flock of sheep in the Welland Valley, Leicestershire. The animals are reared on grass pasture and we aim to maintain the highest standards in flock management and welfare. The final preparation of the lamb is carried out in our shop and we are happy to meet your specific requirements for advance orders. Our lamb freezer packs are best sellers; we supply half and whole lamb packs, jointed and vacuum-packed ready for your home freezer. Currently, all orders must be collected in person from the shop. Please contact us for further information and orders. If you need a particular cut of lamb for a special dining occasion, we must ask that you order from us well in advance of your required date. We also offer a final preparation service, for example, a crown roast of lamb. Contact Us. Spring lamb comes from animals slaughtered at around 5 months of age and is traditionally available around the Easter period. Spring lamb meat should be a pale pink colour with a certain amount of marbled fat, which helps the meat remain moist during cooking. These characteristics give a fast cooking time. Standard lamb. At Ashley Farm, the majority of our lamb products come from what we term a “standard” lamb carcase that is between 5 and 10 months of age. Lambs of this age have grazed on the rich pasture of the Welland Valley, which gives the meat a more pronounced “lamb” flavour and a darker colour. The standard cuts of lamb are less expensive than the more exclusive Spring Lamb cuts. We are allergy aware and can produce additive and gluten-free pork sausages to order. 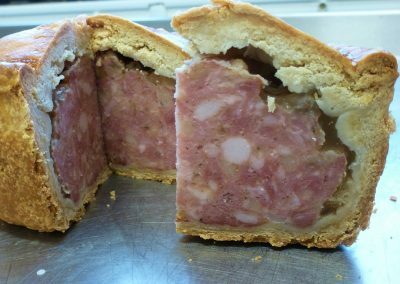 We sell gammon for home cooking in any size cut. Sizes from 1kg to 5kg. Supplied boneless and well trimmed, with no need to soak. Available plain or smoked. We also offer gammon steaks. Our bacon is available in plain or smoked. Are you fed up with that white scummy liquid that comes out some supermarket bacon when it goes into the pan? If so, we recommend that you try our dry cure for the perfect bacon butty!